Can you eat what you like & still lose weight? How Many Carbs, Proteins & Fats to Lose Weight? Hi I’m 34yrs old and mother of 4 my height is 5’8 but my weight is 265lbs is there plan to quickly lose weight? I just ran across your diet plan, I am looking to lose about 20lbs in 2 weeks, I have a trip to the beach coming up that was spur of the moment, I’m 5’6” and 168lbs, I’ve never wore a 2 piece suit ever, can this really work for me? I am a 26 year old care assistant, who at the moment is 5ft 8 and weight a shocking 308lbs. I have been diagnosed with IBS so really need a eating plan that can help me lose weight without making myself ill. I work 12 hour shifts so I am active most days. Any advice is welcome. I just turned 30 and I’m freaking out. I swear I feel a heart attack coming. Just weighed in at 378lbs and I’m 5’8”. How do I fix this? I don’t want to be a gym rat. I don’t like vegetables. And don’t tell me I NEED to eat vegetables. I don’t understand how people say that. I can’t force myself to do stuff. Who forces themselves to do things they don’t want to do?! TL:DR - 378lbs 5’8” female HELP! here is the perfect plan for you - eat anything you want! Seriously? Your poor attitude Is the reason why you weigh over 300lbs. You’re full of overused excuses and those same excuses are going to lead you to a premature DEATH! Stop with the I want this and I want that, but I don’t want to work for it mentality. What would you rather do die or learn to figure out which veggies you like the most? 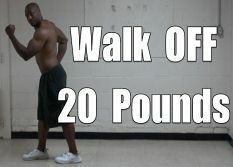 30 minutes at the gym or even a 30 min walk would do you well. Your negativity and victim mentality will not get you anywhere. How could you ask anyone to help you lose weight and you won’t even help yourself? It’s so confusing to me. No white rice- instead have brown rice. Use avocado oil, olive oil, or coconut oil as a healthy alternative to vegetable oil or butter which is high in saturated fats. Instead of having ranch dressing try Greek yogurt mixed with garlic and a little water in it. When indulging try not to eat a whole bag of chips. Instead have a quarter of it and not everyday. The same goes for deserts, sugar is not your friend. 100% only whole grain breads carbs are your body’s fuel and even if you are slightly active they will be more of a benefit than anything else. Need new link to Wendy's. I weigh 100 lbs and I’m 40 years old. I’m lifting heavy but I’m stagnant. Hey! I’m 20 years old, 5’4” and now 162lbs. I joined the army and leave for basic training in January. I gained some serious over my vacation and need to lose this FAST. 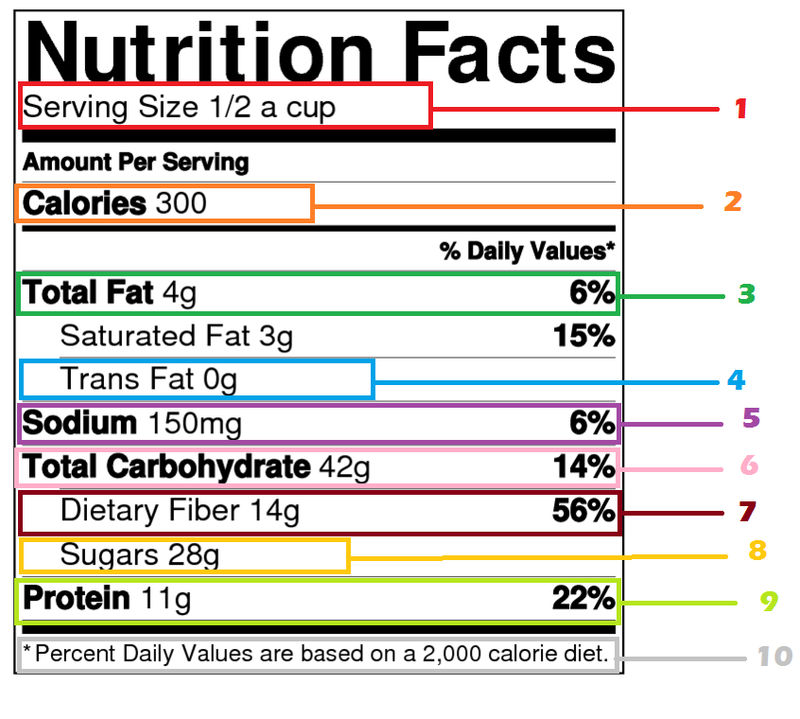 I read and watched your videos..but how do I put It all together to make sure I’m only eating 0-300 calories per meal? I do HIIT cardio now and I really like this but I need a set plan for eating. THANKS! Hi I'm 40 female 185 pounds and gained 25 ibs since may. I want to lose 30 ibs by July 1. Currently i am fairly unmoticated to exercise i am trying to dedicate some time (2 kids fulltime job). Calorie counter said approx 1300 cal a day. Could you direct me to a work out at home that i could do to help start. I have a 15 ib kettle bell and 5 10 ib weights at home and an elliptical. I am very impressed with the detail and knowlegde you share. I was diagnosed with mild PCOS and am also taking meds for depression. I currently weigh 211 pounds at 5'4"
Any suggestions on how to kick start a healthier lifestyle? I gave birth to a baby. My baby is 9 months old now. At the time of pregnancy I was 57 kgs and now I am 69 kgs. I am really trying hard and I am vegetarian as well. I manage to exercise 3-4 days a week. Please suggest since I can't do and I don't want to do dieting. I weighed 107 kgs last month.Started exercising and my intake daily was around 1200-1400 cal. 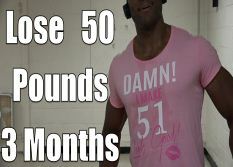 yesterday i weighed 100 Kgs so thats 7 kg a month. I need to loose around 20 more in 2-3 months..what to do. p.s : I have a 9 hours sitting job and 4 hours work from home.I gym for about 2 hours inc weight exercises plus morning walk for 30 minutes. Hi. When using a calorie counting app. Should I still eat more after the deduction of my workout is subtracted. Hi I'm a 25 year old mother of 4 (all by csection) I'm 5'7 and currently weighing 264 pounds I'm trying to lose around 60 pounds in the next 4 months and keep it off. Any tips on which diet to do and what work outs I should do to get my stomach and arms back in shape??? 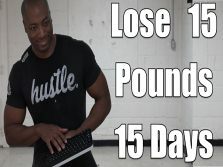 in your workout site you have written to do the workout for 10 minutes, 1-6 times everyday, but the workout I am doing is the 30 minute jumping jack video, so should I do the 30 minute video twice a day or should I do it for 10 minutes , 1-6 times everyday. which will help me lose the most weight? Hi, I'm 6'1 and weigh 169lbs, I was wondering which diet would be the best for me to gain mass, and which exercises as well. Thank you. I would like to ask on how can I lose 175 cm tall and I weigh around 187. I would like to know if you know any tips on how can I lower it down around 160 fast. Your site is very helpful I lost 10 pounds in past months but the problem I'm not very regular and after losing some weight I'm 202 lb , 5'2(height) and 22 years old. I need help in diet tips and any home workout/walk plan as I'm a person who can't go out much. I'm confuse about how many calories should I lose per day, and how fast I can lose belly weight fast? since I need to reach goal of 45 kg before 2016. Your tips would help too, as they always do. I want to build muscles and look athletic. I am 5'7" and my current weight is 170lbs, my BMI is 26.6(which is considered over weight). I have started to workout 4 times a day at home(using your 6 week program without weights) and i also do outdoor sport activity once a week. My problem is that my overall body is skinny but i have a very huge belly :(. So do i have to lose weight first then gain? Or maintain my weight and build muscles? Or do what? I am really confused so please can you help me transform my belly into abs and achieve my Goals? do you have access to weights?